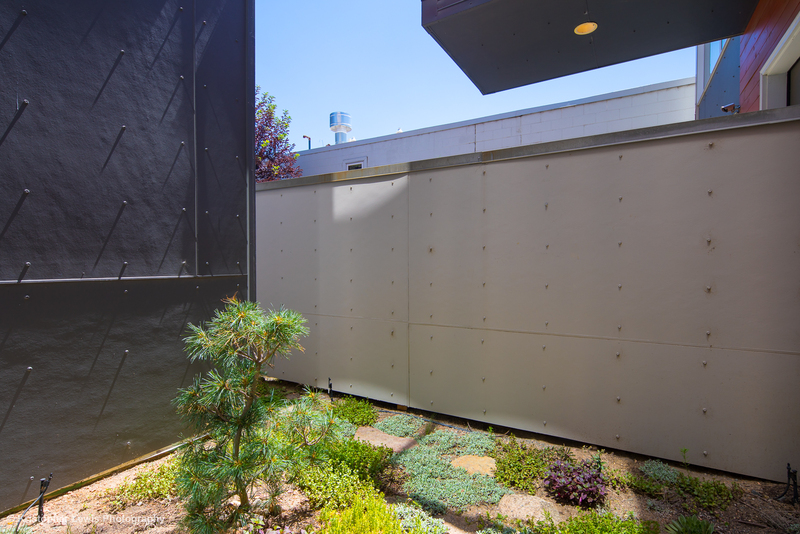 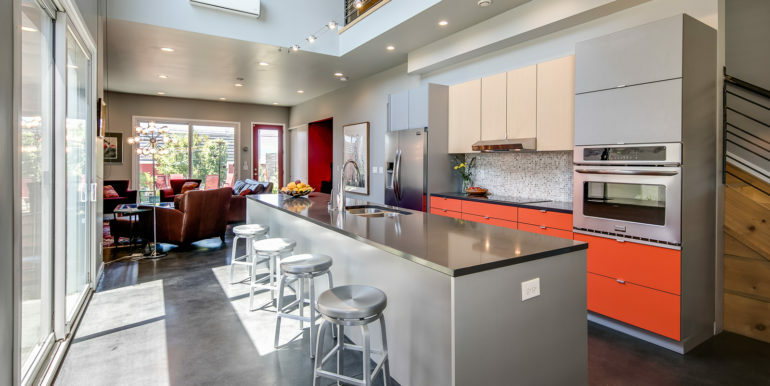 Winner of the 2014 Mayor’s Design Award, this magnificent custom-built modern home offers three levels of exceptional indoor and outdoor living space! 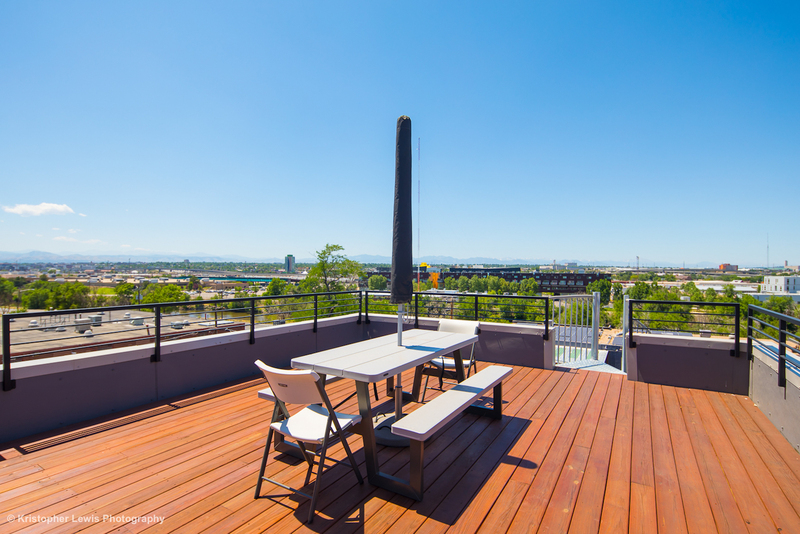 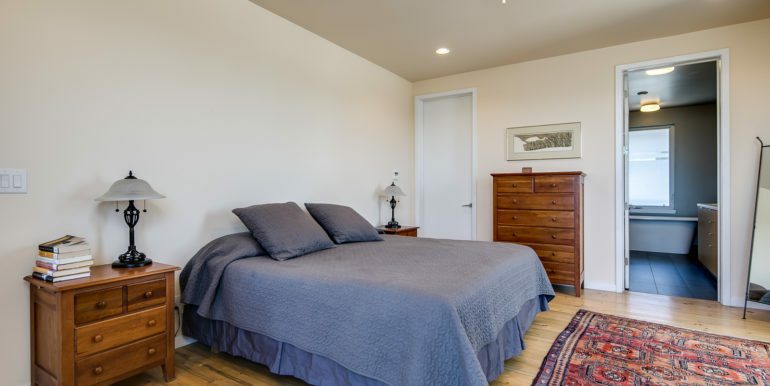 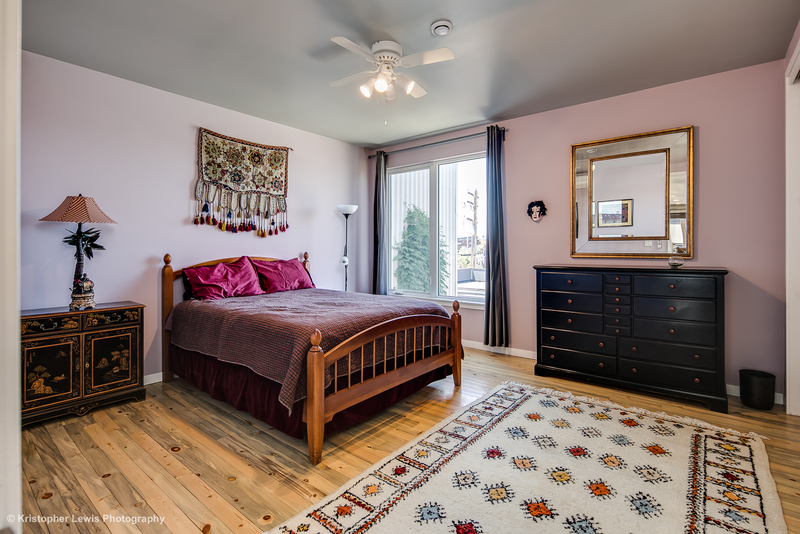 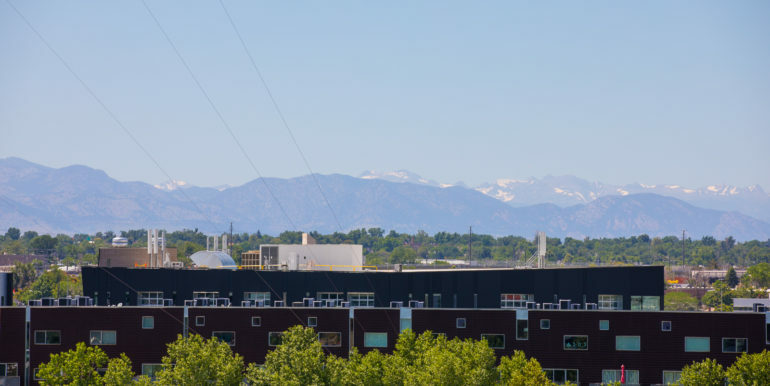 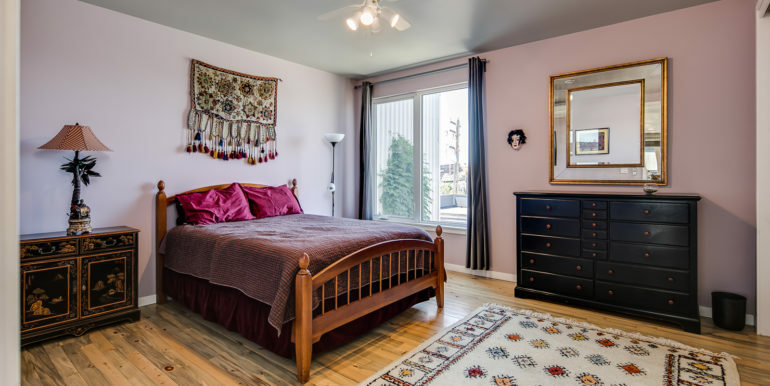 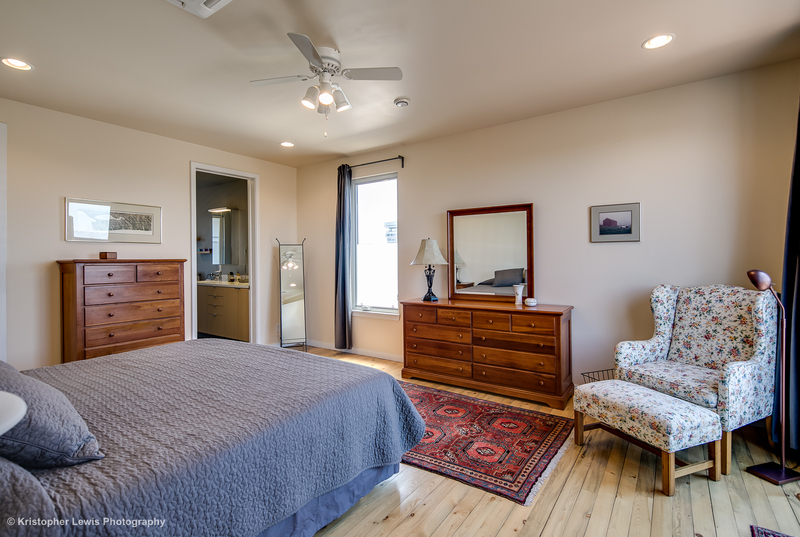 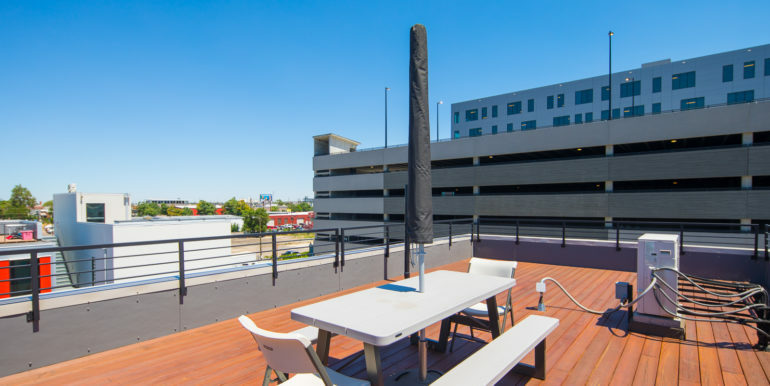 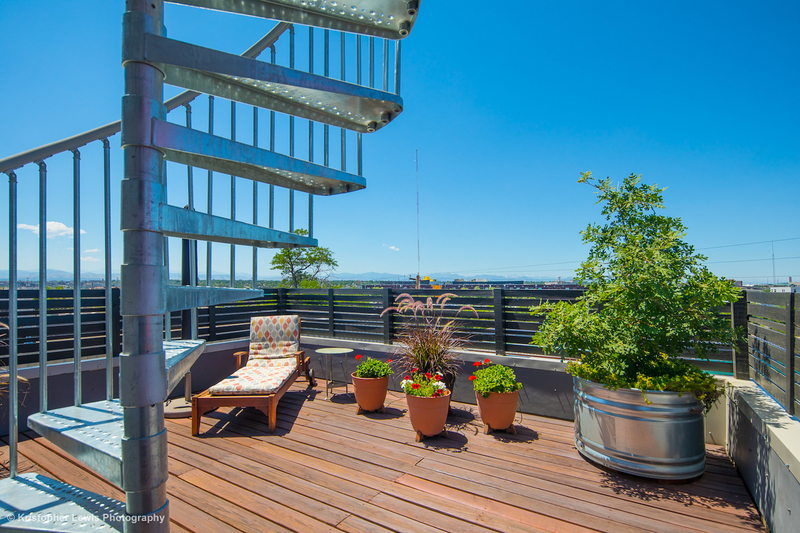 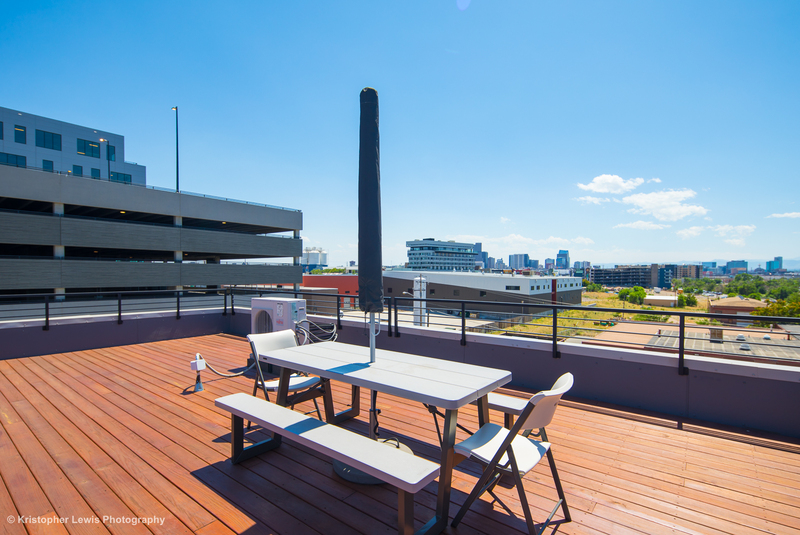 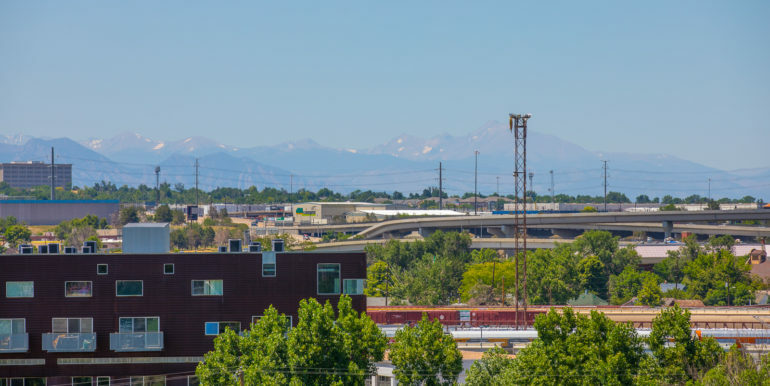 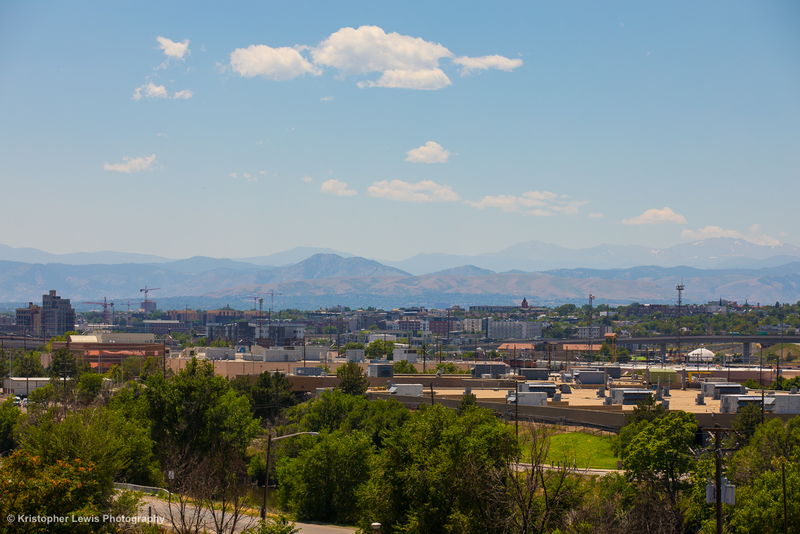 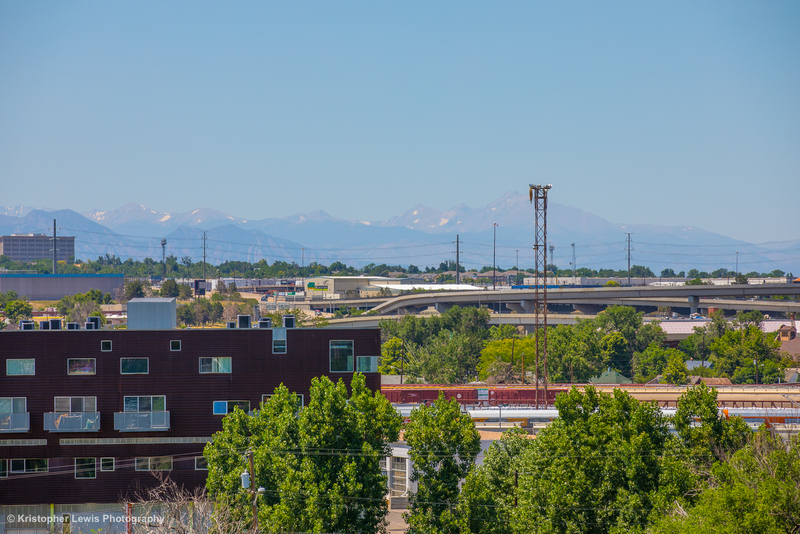 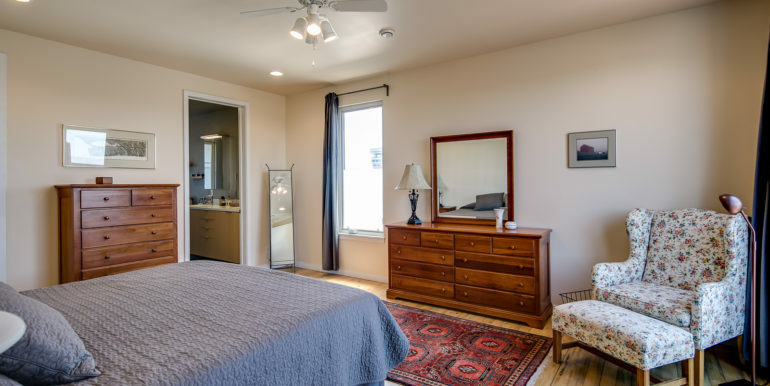 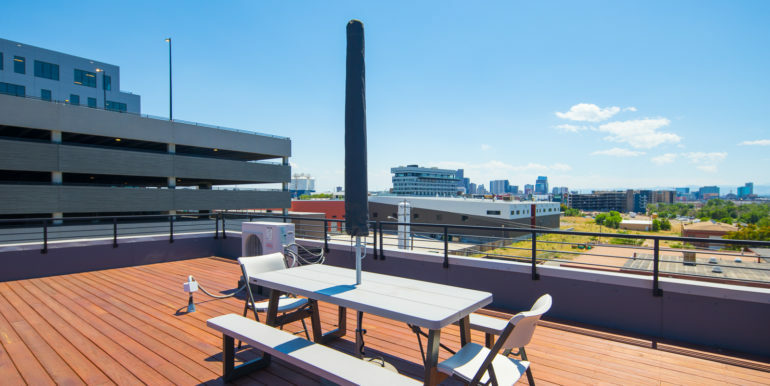 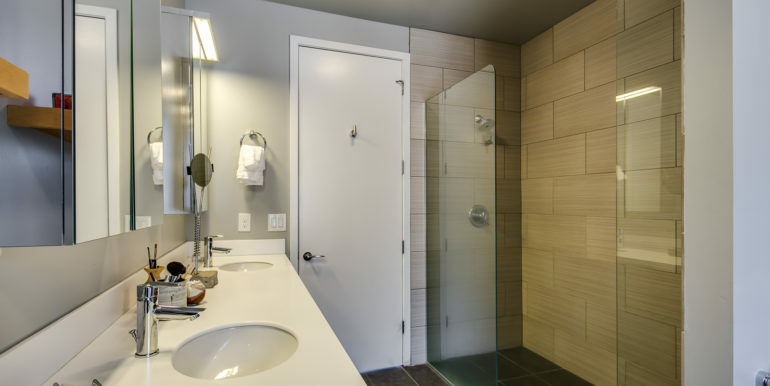 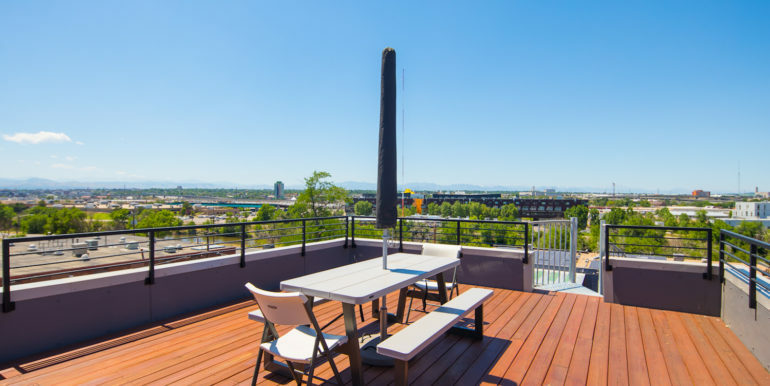 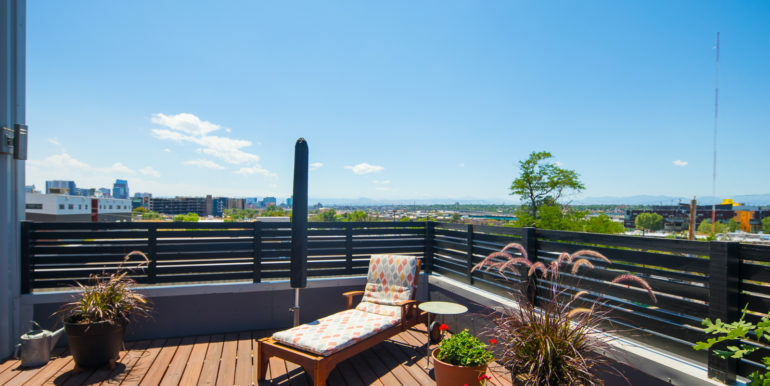 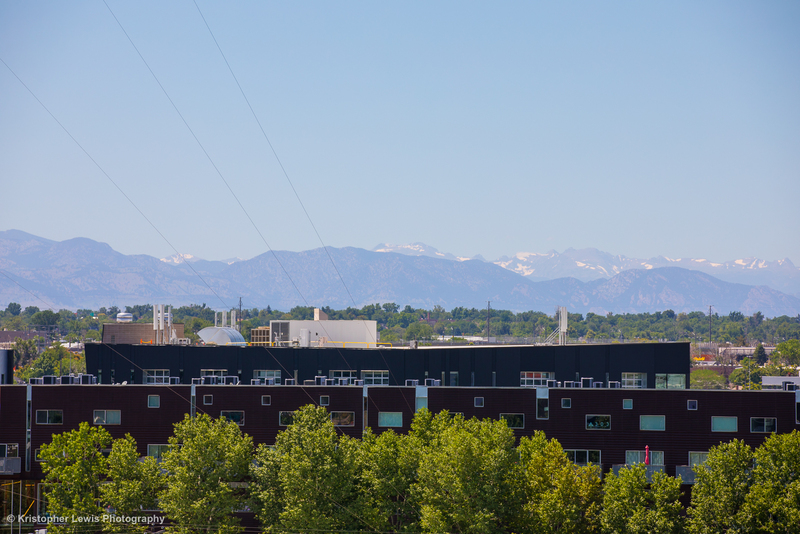 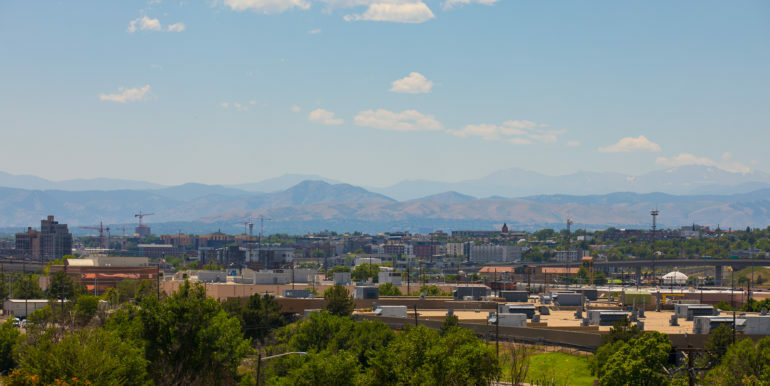 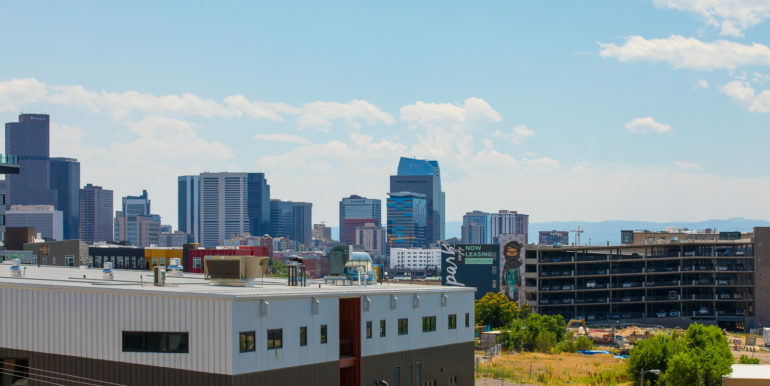 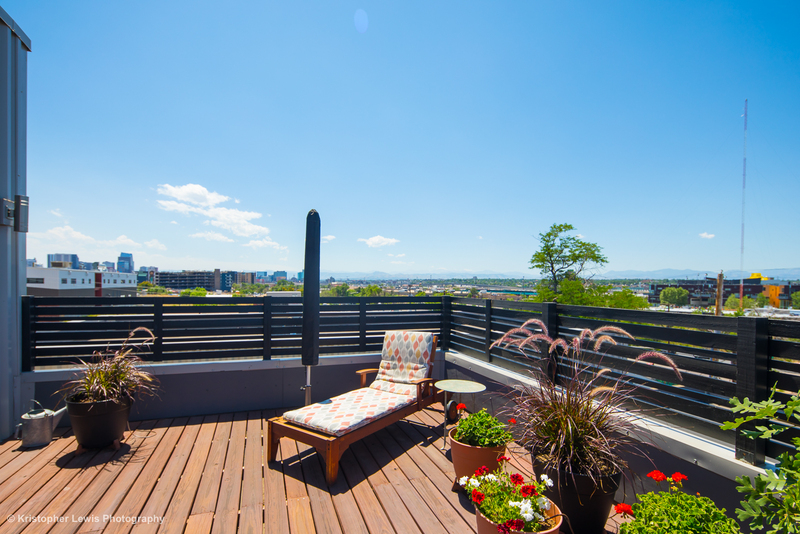 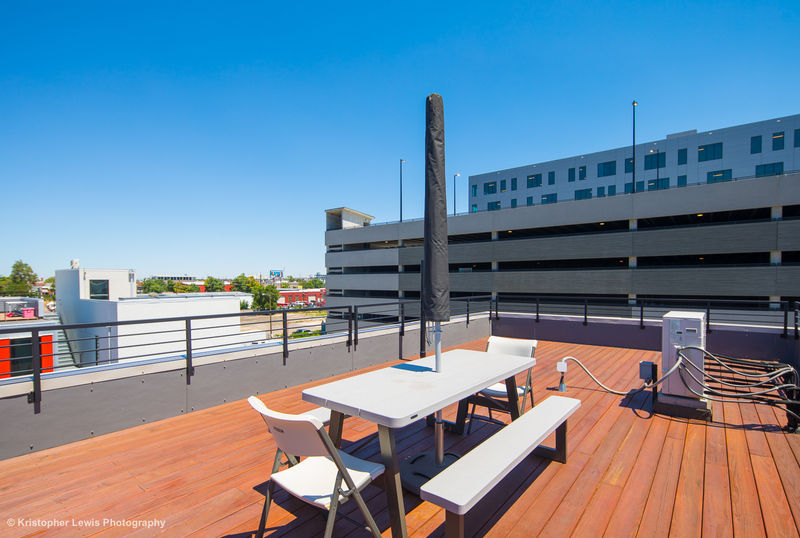 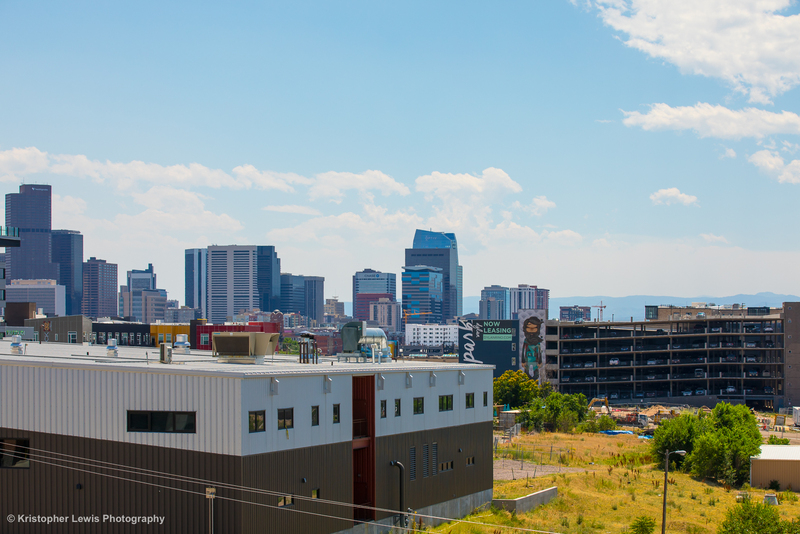 From the expansive roof decks you can marvel at the endless breathtaking and panoramic vistas of the entire city and front range Rocky Mountains, and enjoy mesmerizing sunrises and sunsets! 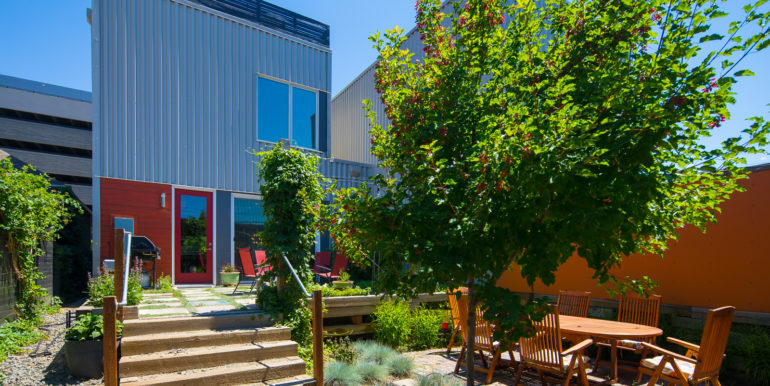 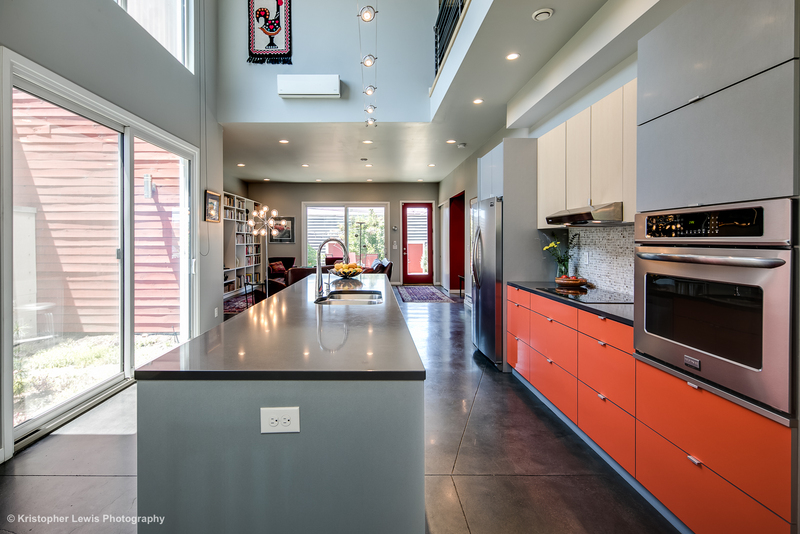 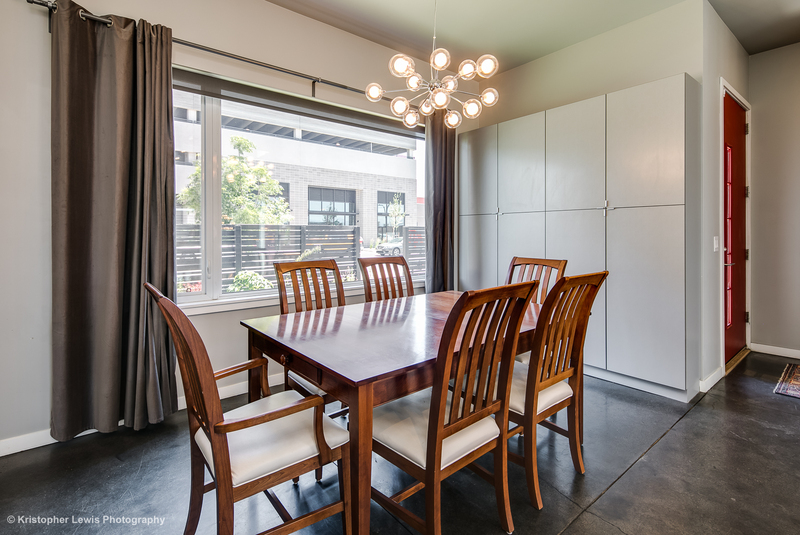 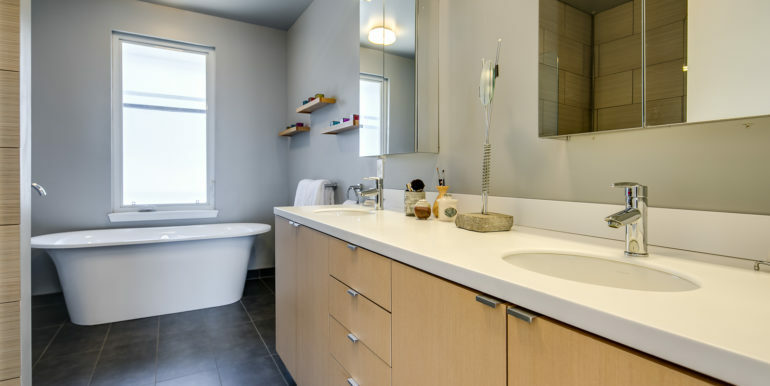 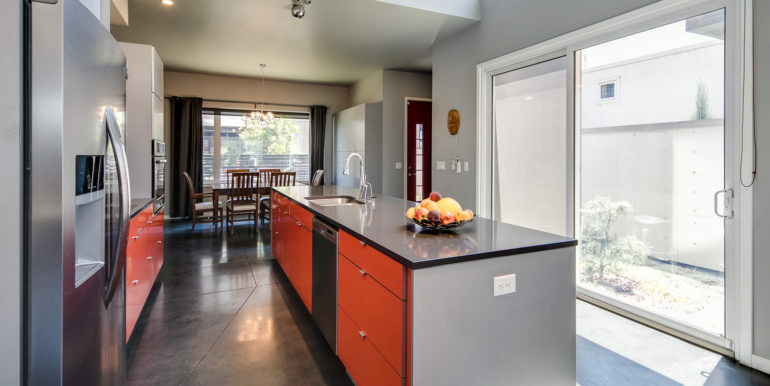 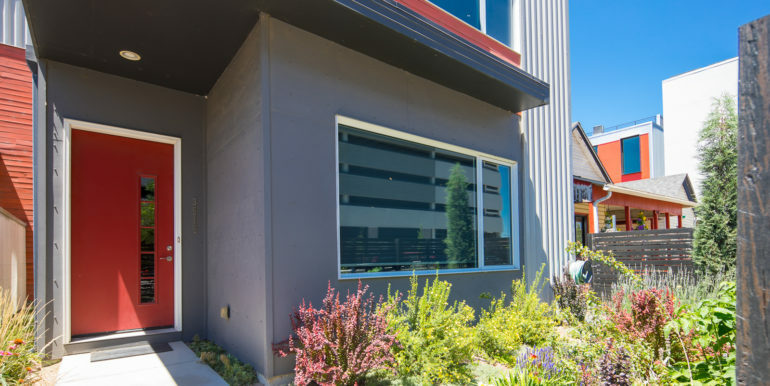 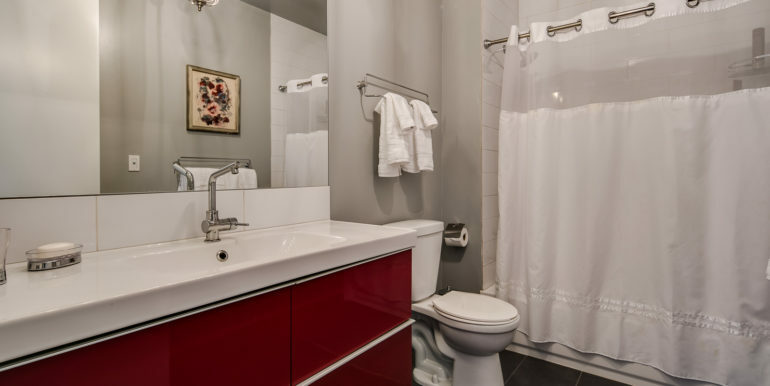 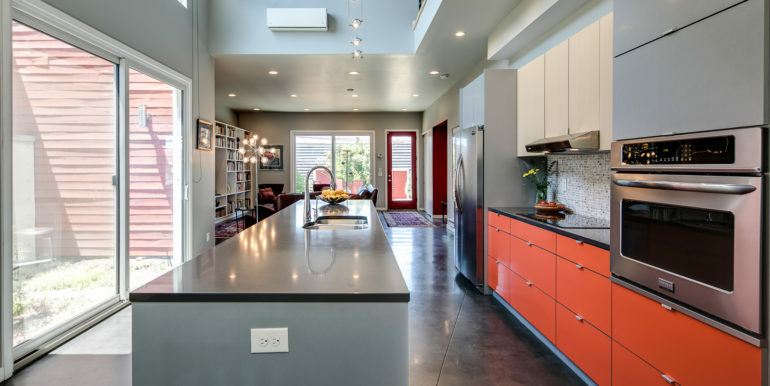 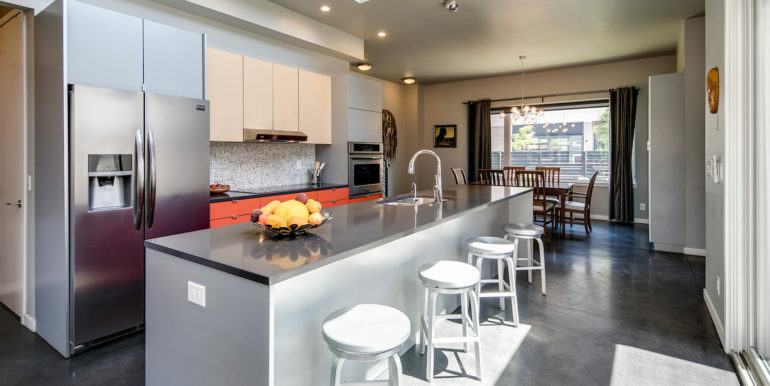 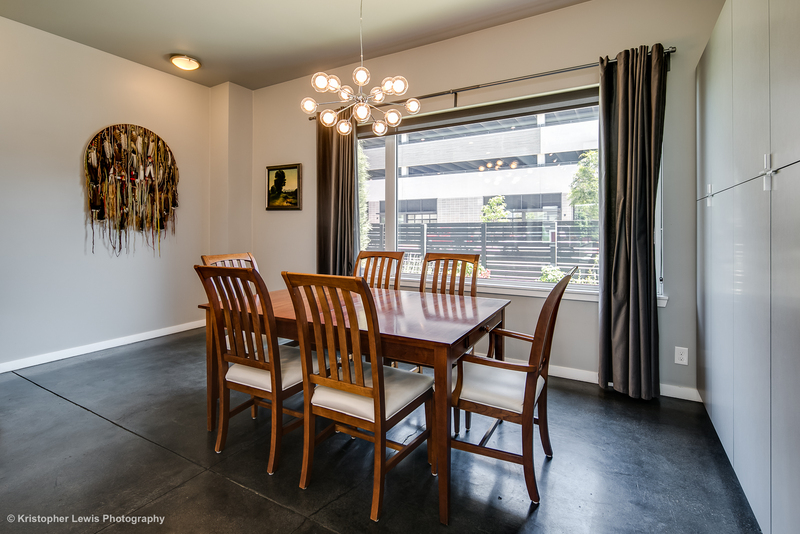 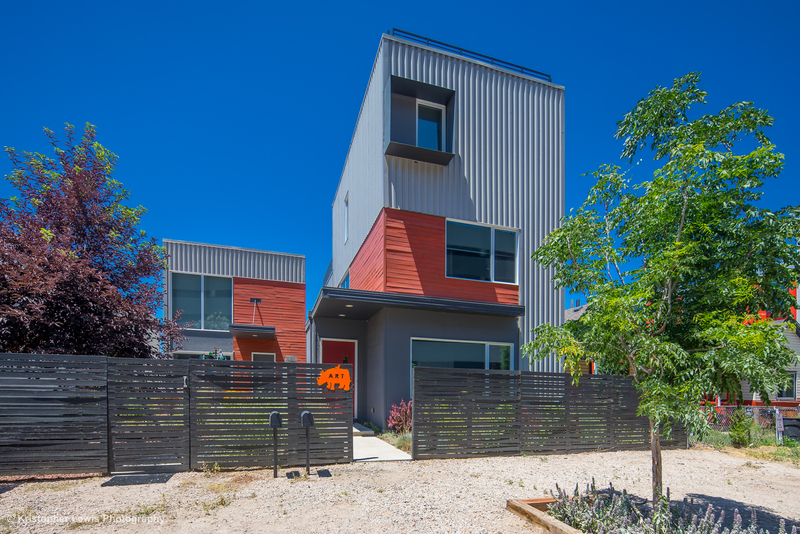 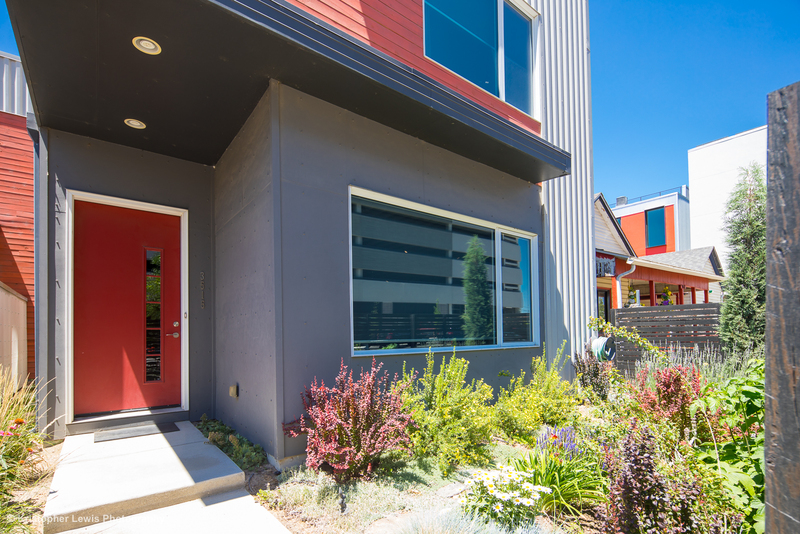 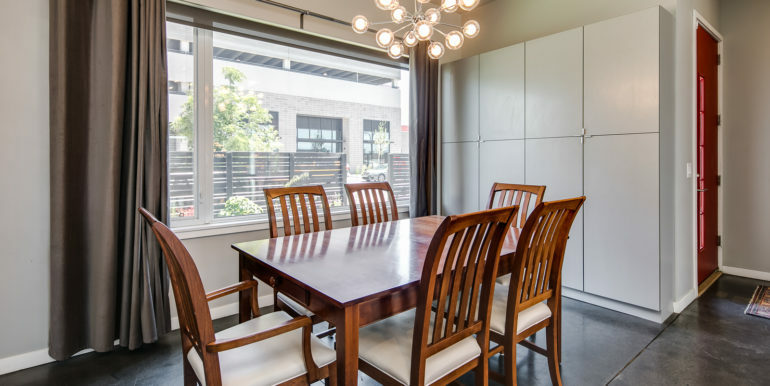 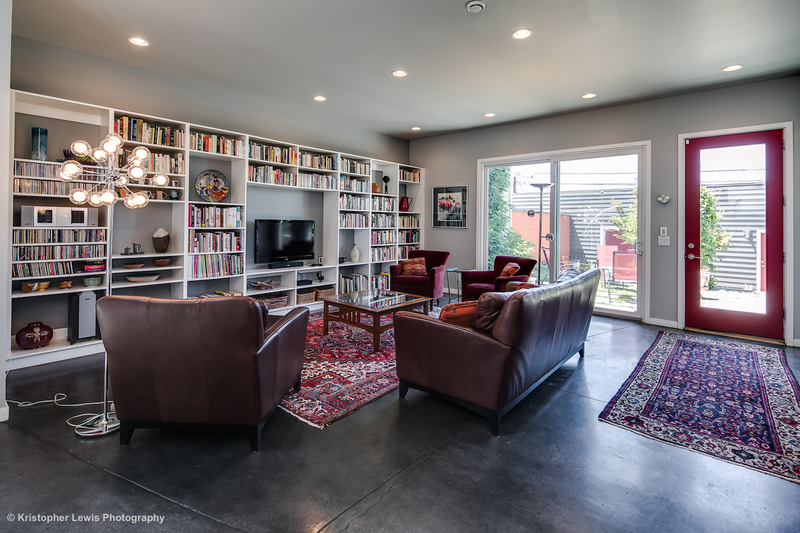 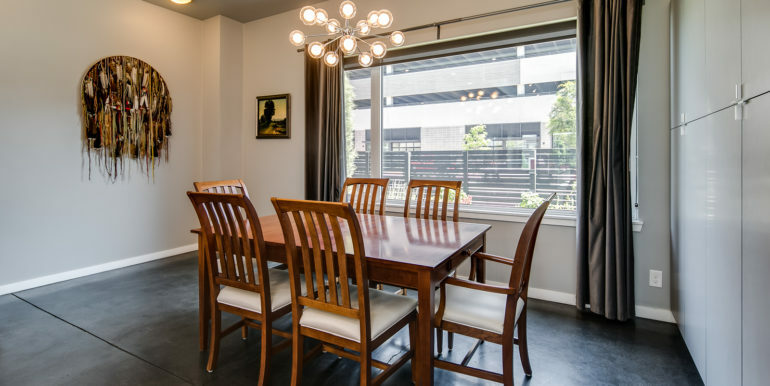 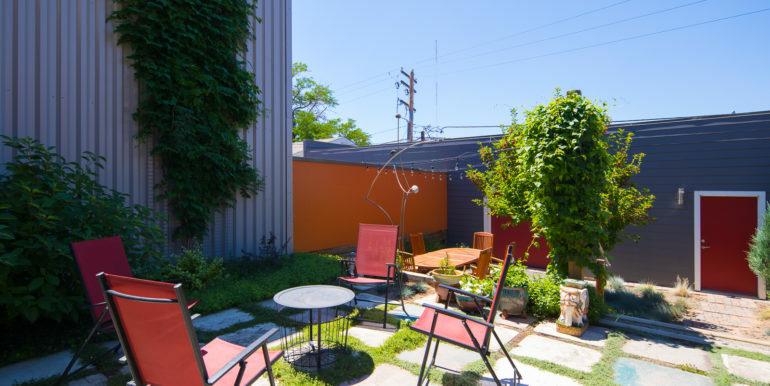 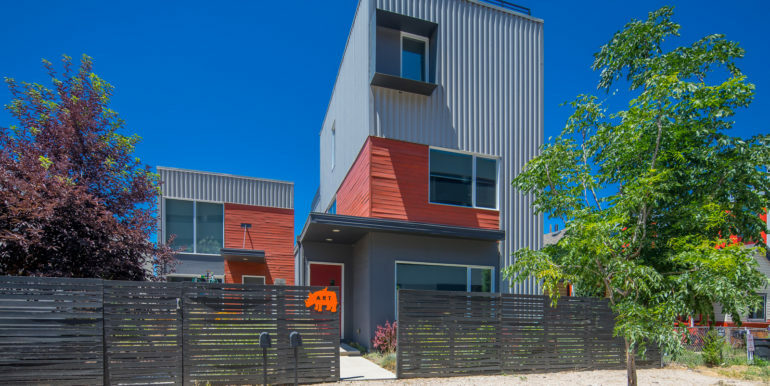 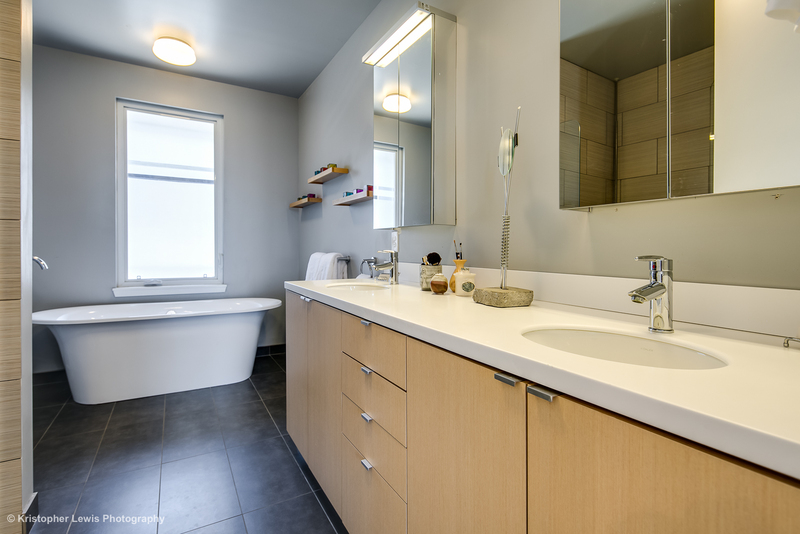 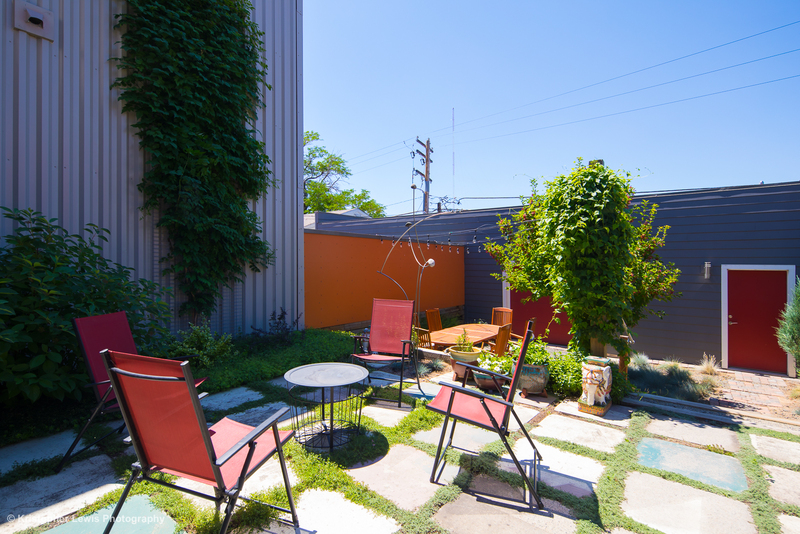 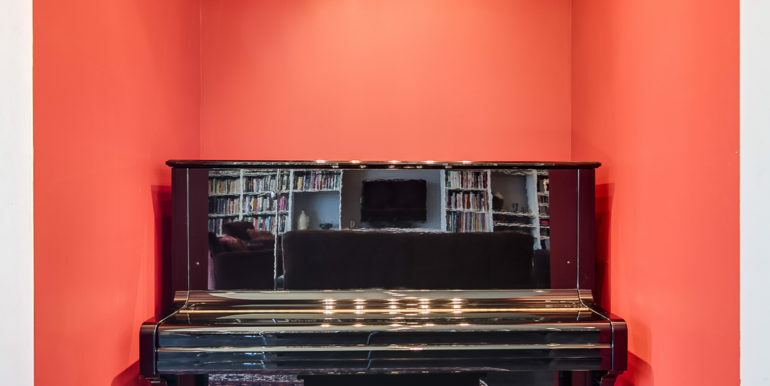 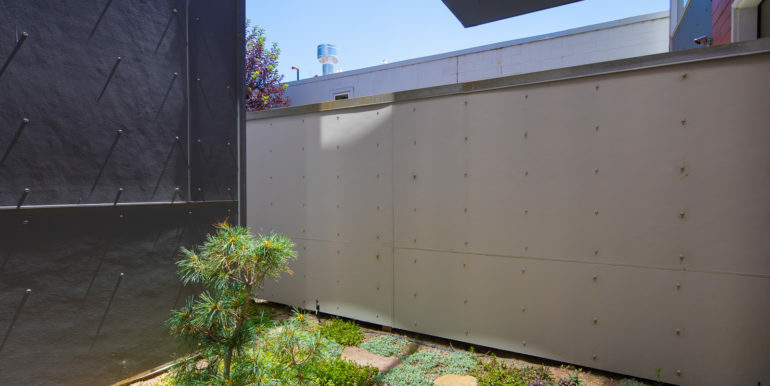 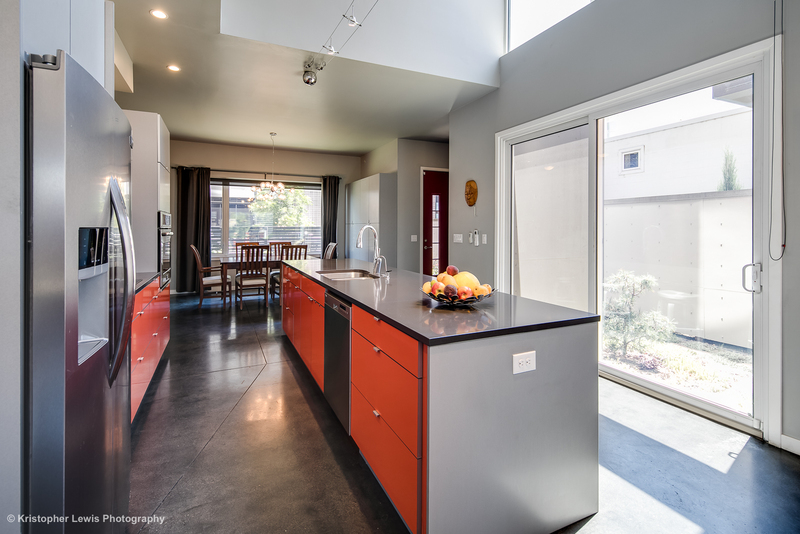 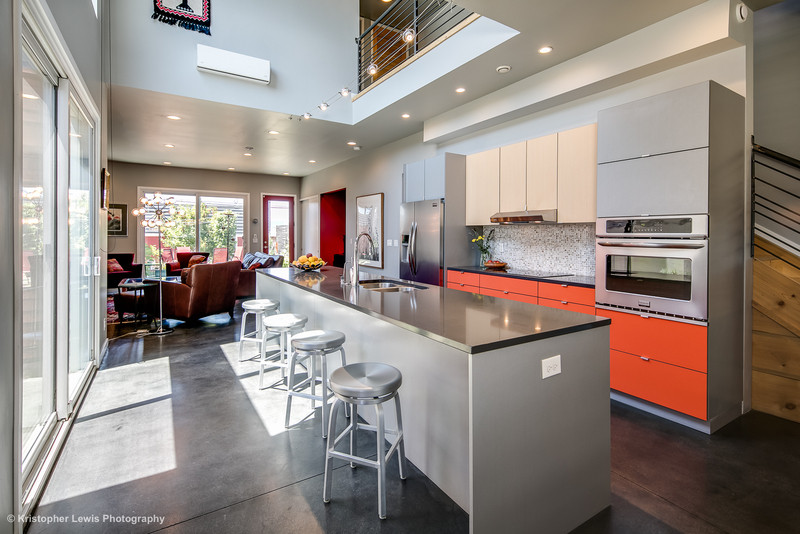 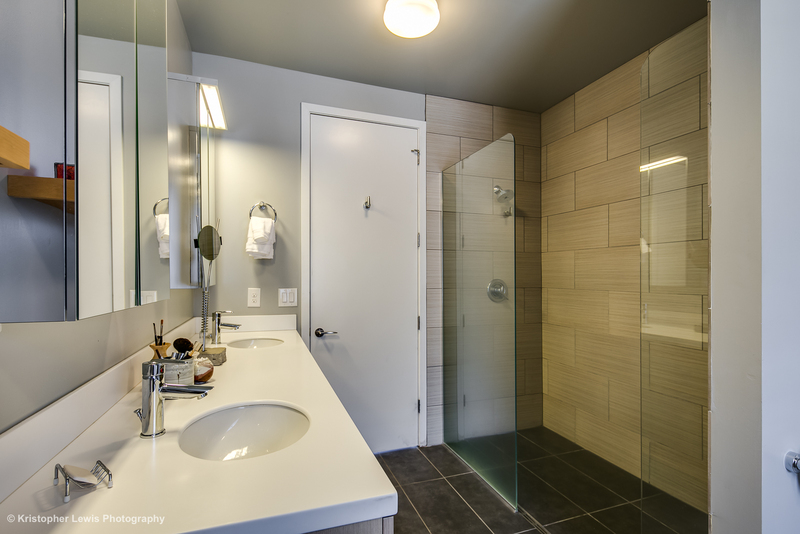 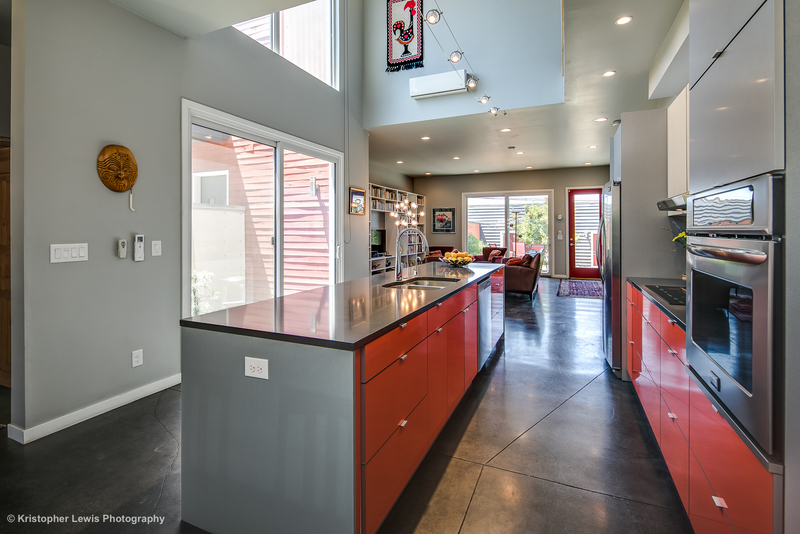 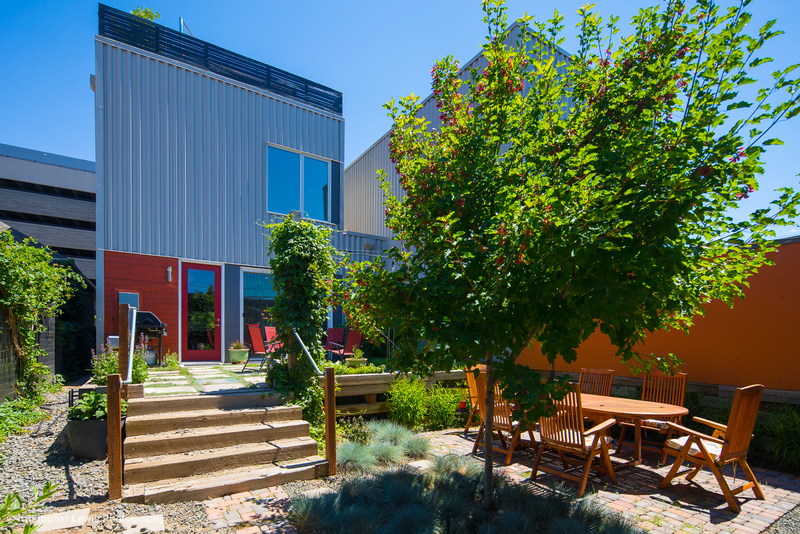 Located in Denver’s hip RiNo neighborhood, the home is within walking distance of the 38th and Blake Rail Station, 1.5 Blocks to Natural Grocers, Mockery Brewing, Great Divide Barrel Bar, Bigsby’s Folly Craft Winery & Restaurant, The Source, art galleries, and more! 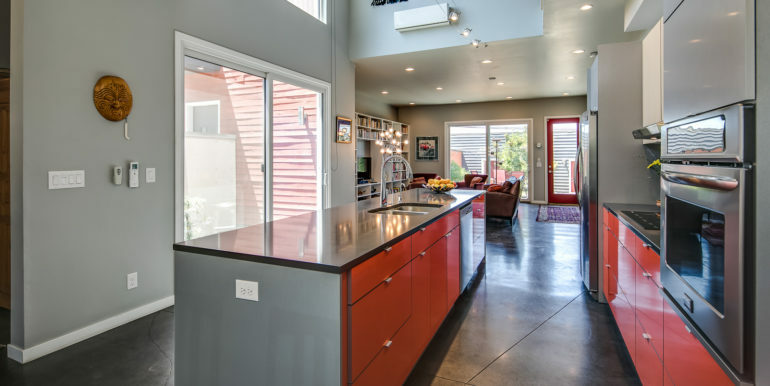 The home was brilliantly constructed with energy efficient materials including triple paned windows and high ‘R Value’ Insulation. 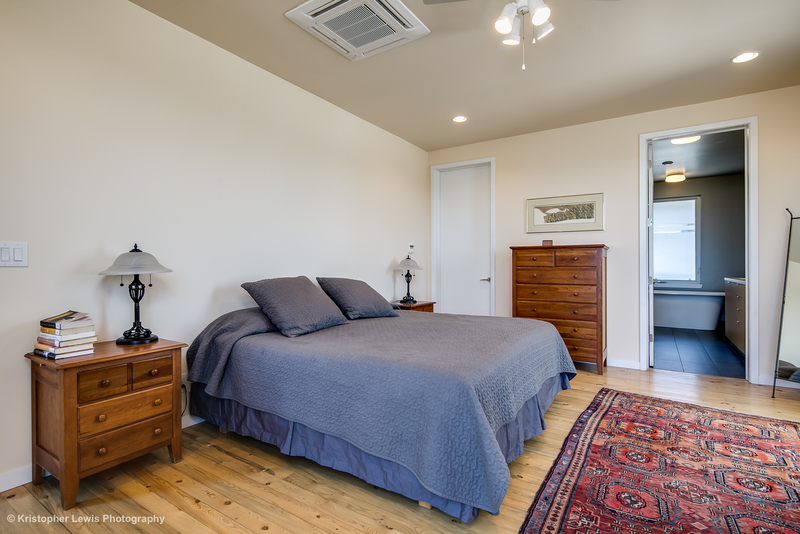 A mechanical energy recovery ventilation system (ERV) conditions and filters air throughout the home. 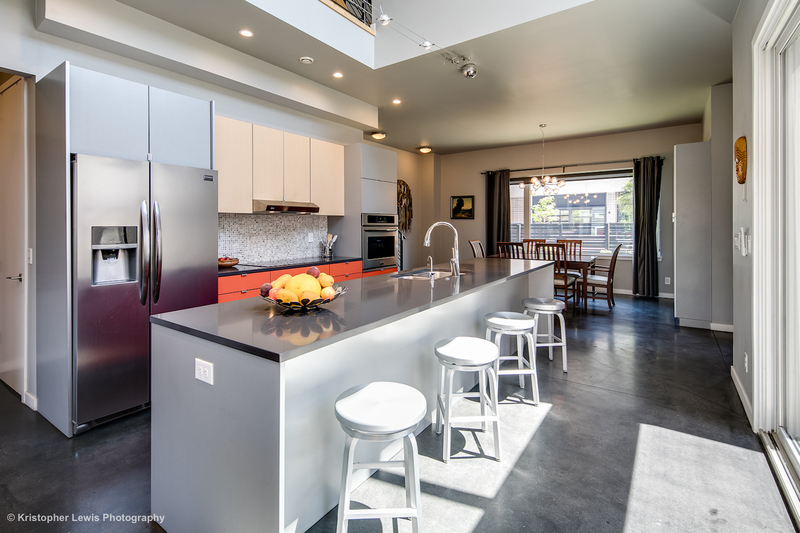 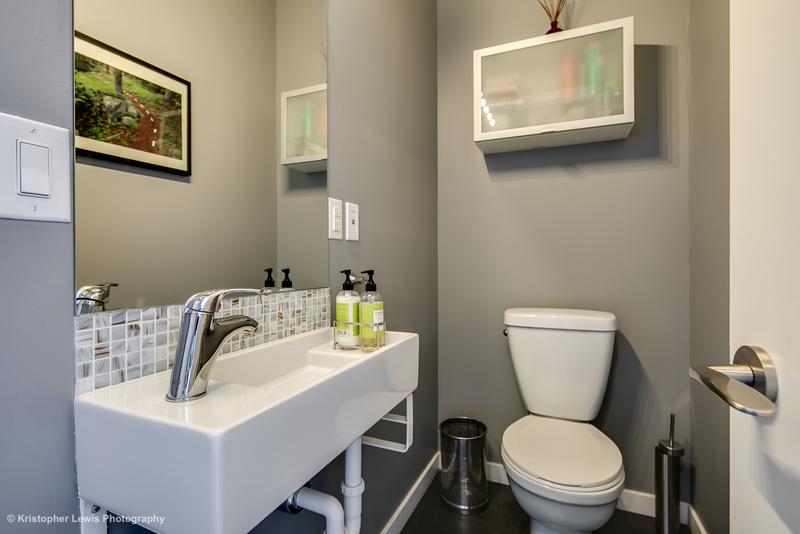 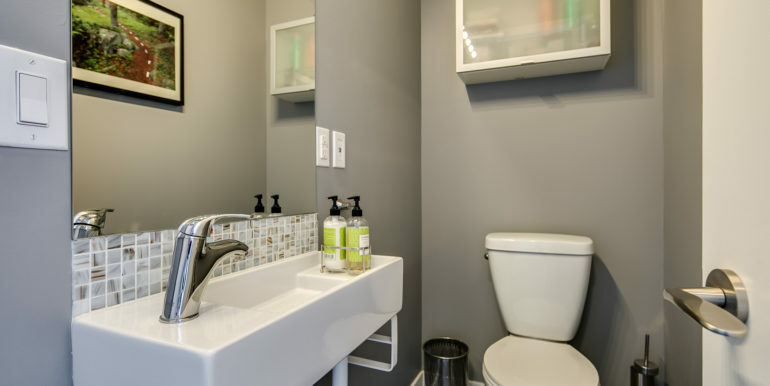 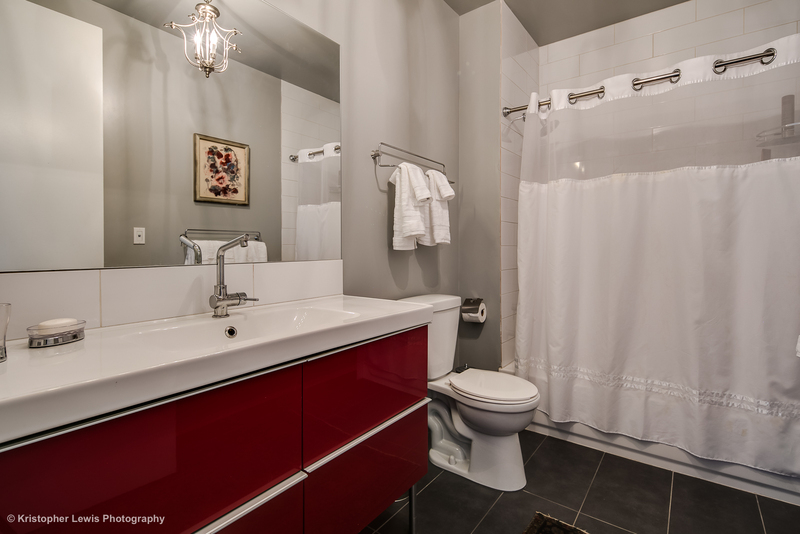 Interior features include an open concept designer furnished main level with a large dining area, sleek modern kitchen with induction cook-top and large pantry. 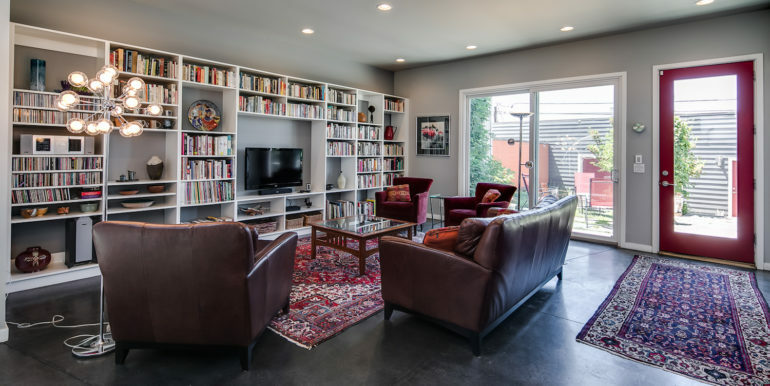 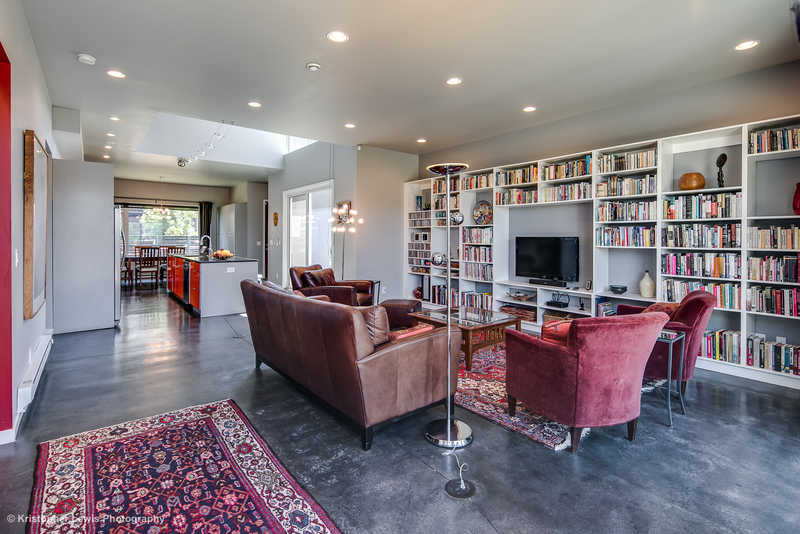 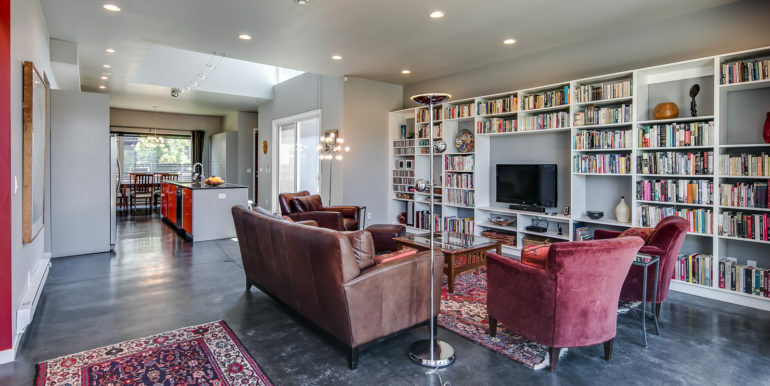 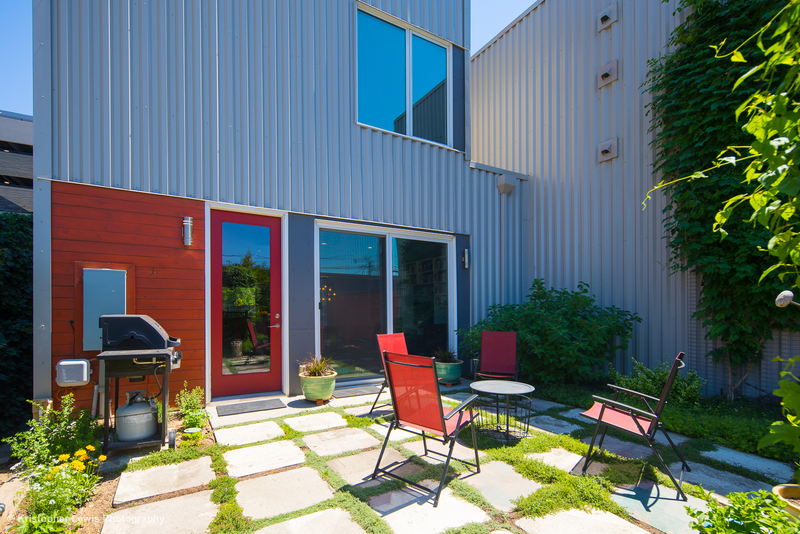 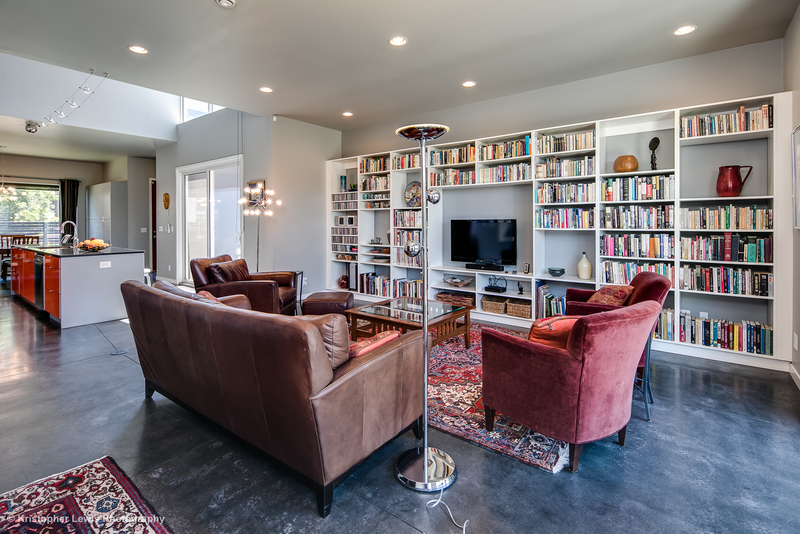 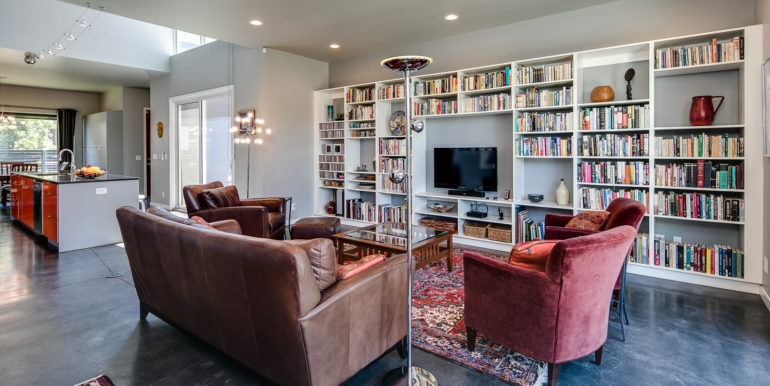 The spacious living area offers generous entertaining space and leads to a private backyard garden patio oasis. 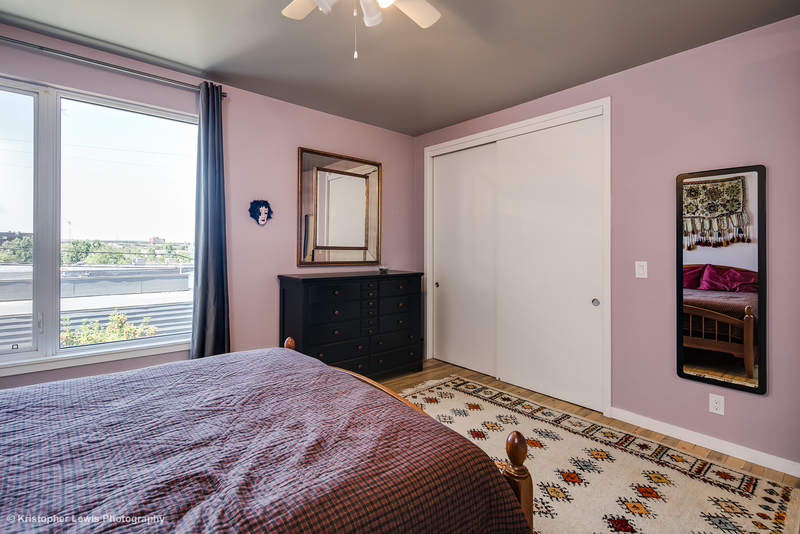 The second level features a king-size bedroom and adjacent full bathroom. 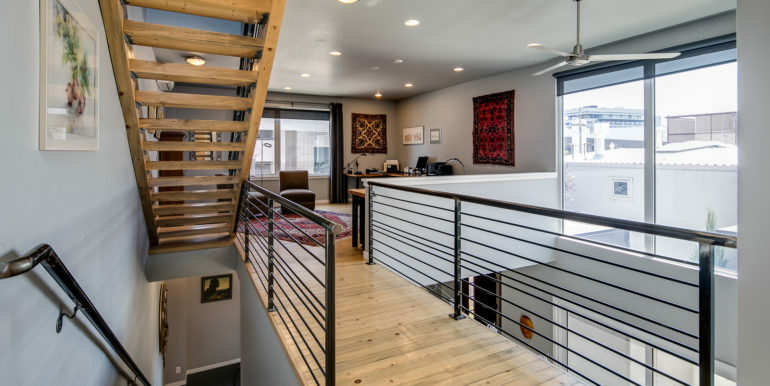 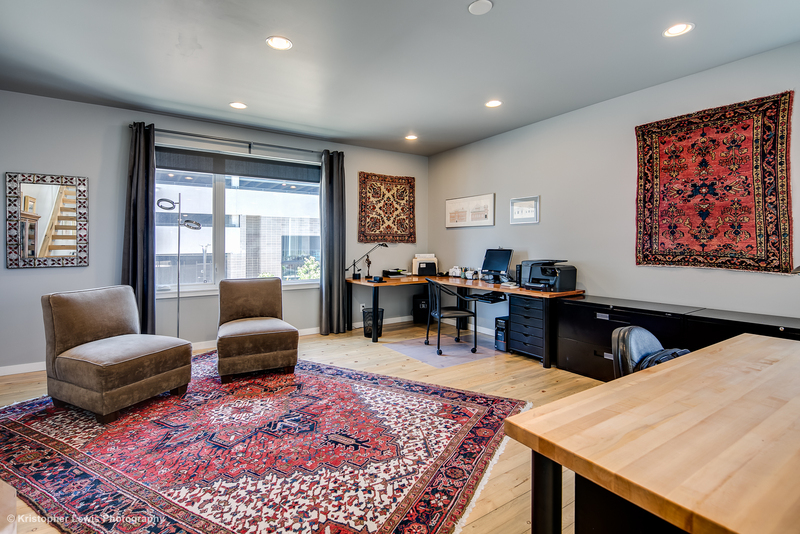 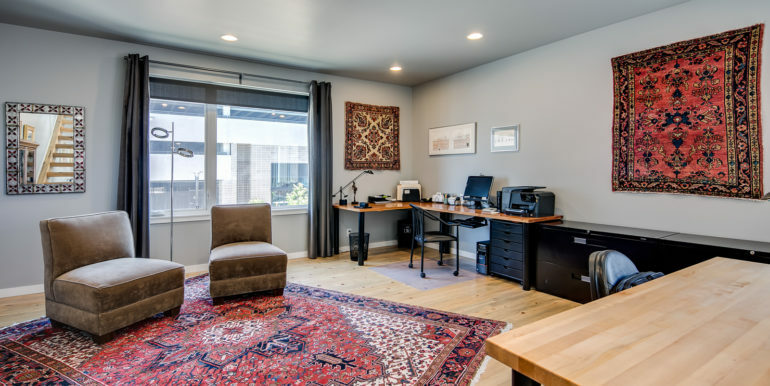 A large open flex space on the second level can be used as a home office or den. 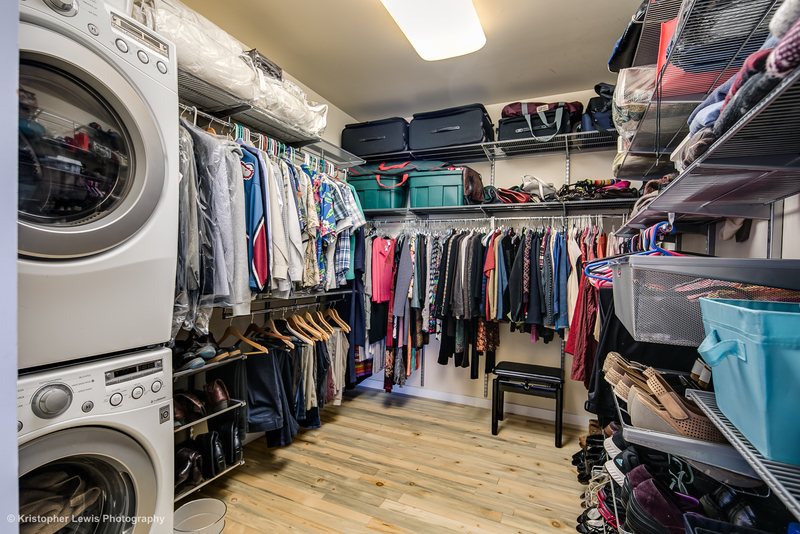 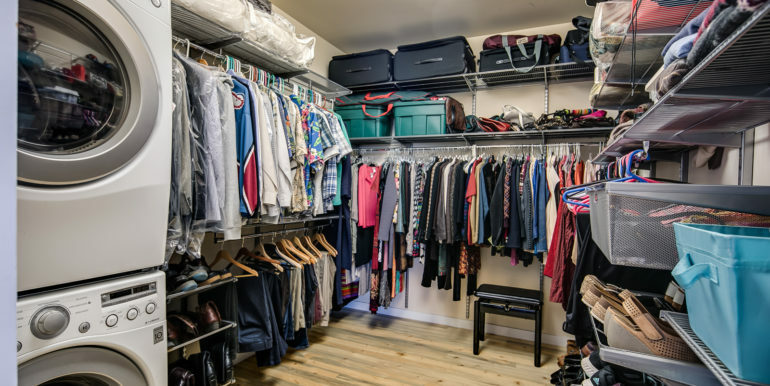 The third level features a king-size master suite with a five-piece master bath and a walk-in closet with stacked washer and dryer. 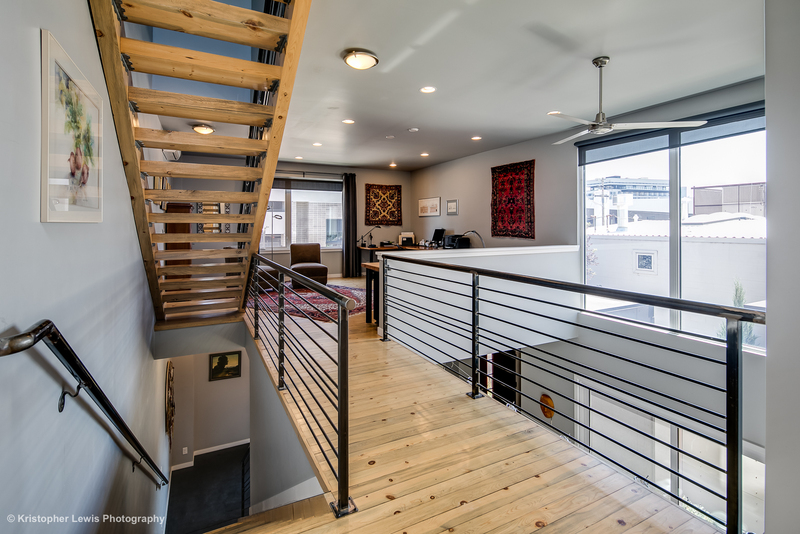 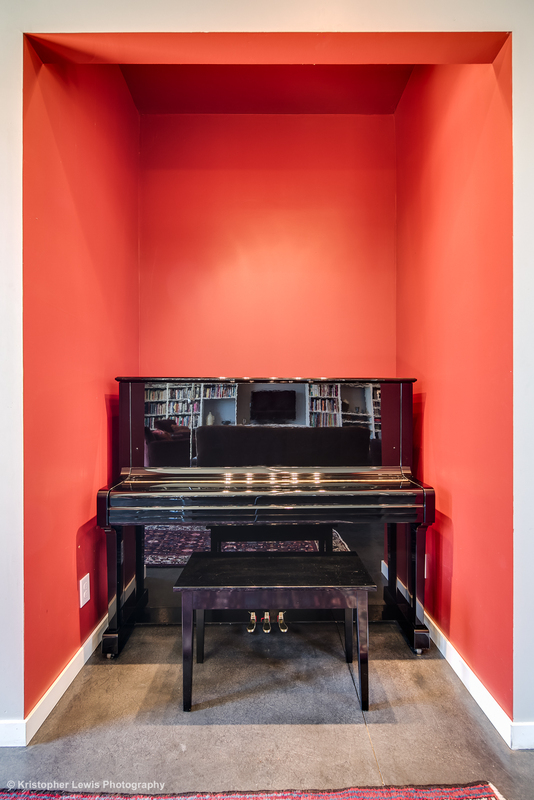 The main level is polished concrete flooring and the upper levels are Beetle kill reclaimed wood. 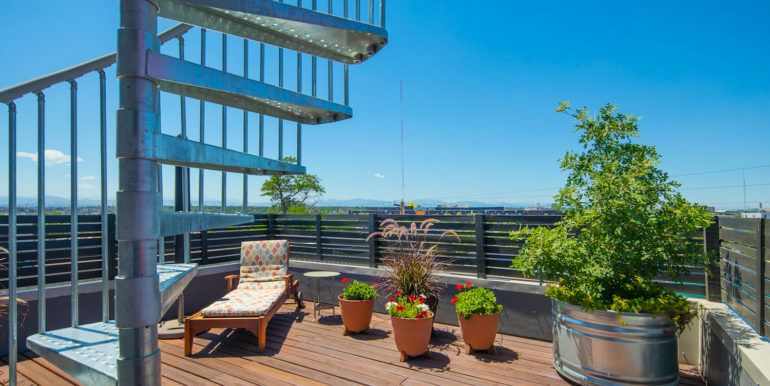 A large walk-out deck offers an additional private retreat for the master suite, and stairs winding up to the spectacular observation deck located on the roof of the home. 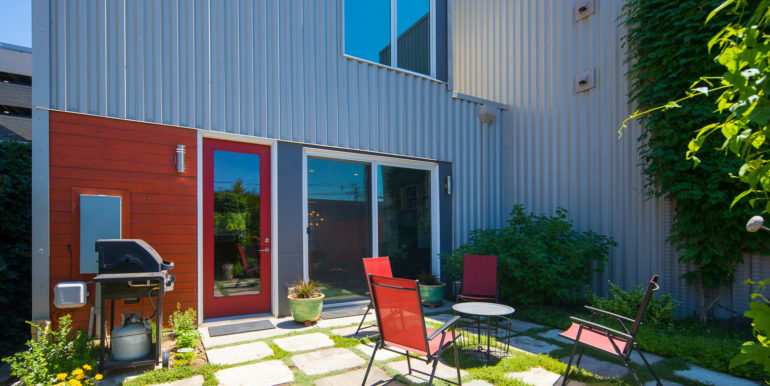 There is a detached two-car garage. 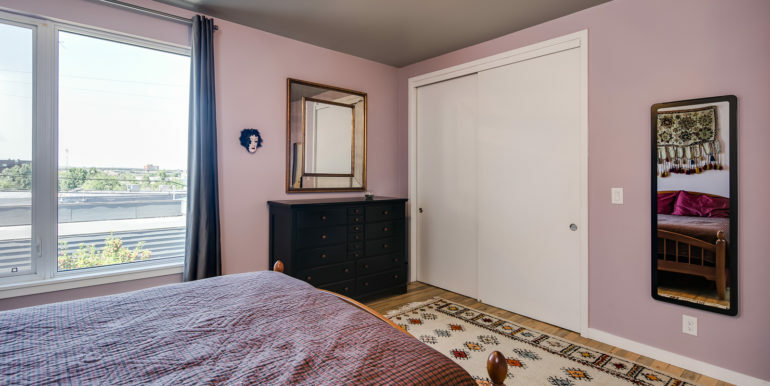 Dogs will be considered on a case-by-case basis.